Learn Russian Free Fast and Easy - mobile audio phrasebook and dictionary for beginners that will give visitors to Russia and those who are interested in learning Russian a good start in the language. Learn Russian Free Fast and Easy is mainly for people, who don’t speak Russian but it may also be useful for people, who have come across Russian language already. 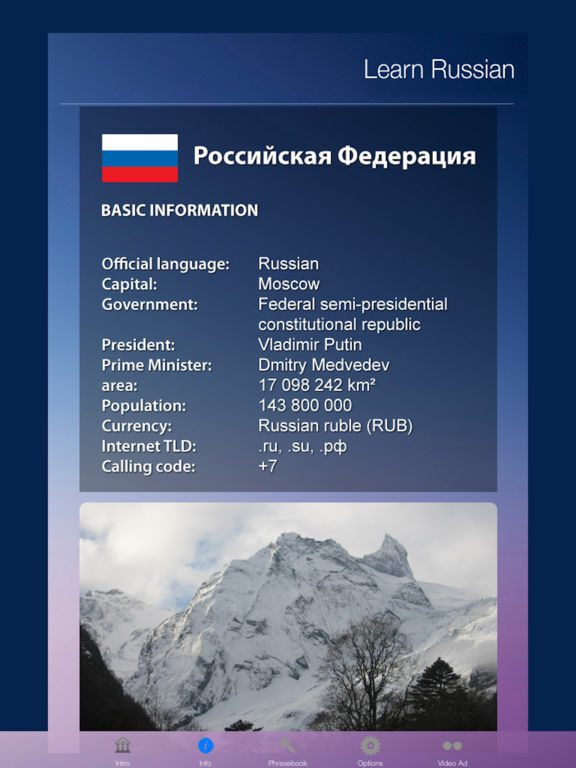 Recommended app for tourists and business people visiting Russia or Russian speaking countries. 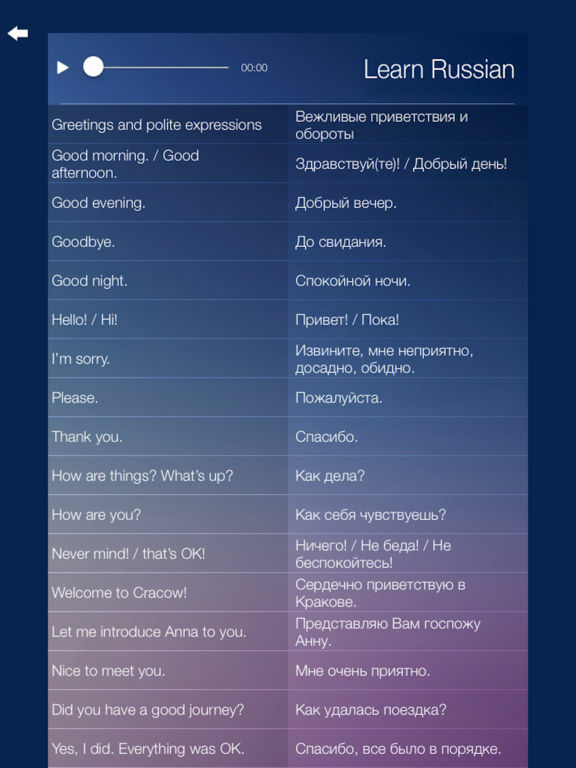 The most essential words and phrases of the Russian language, each with native speaker audio. Perfect travel app! 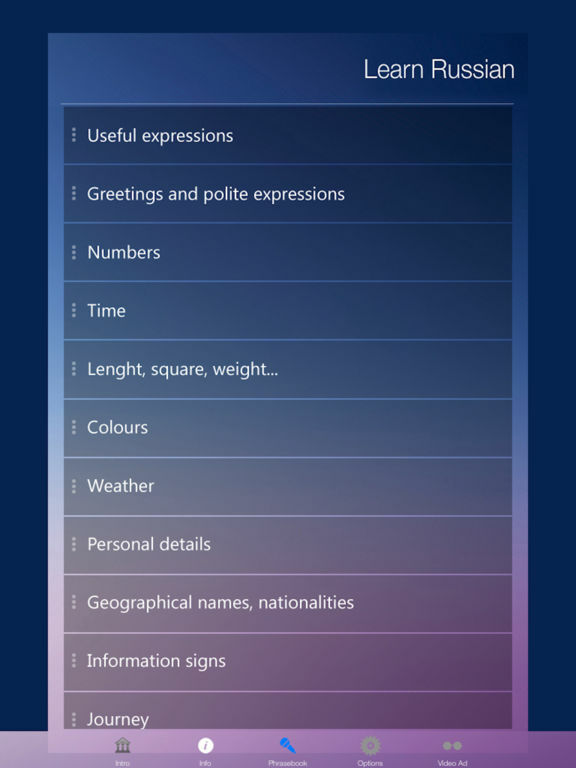 * App is for people who know English and want to learn the basics of Russian language. 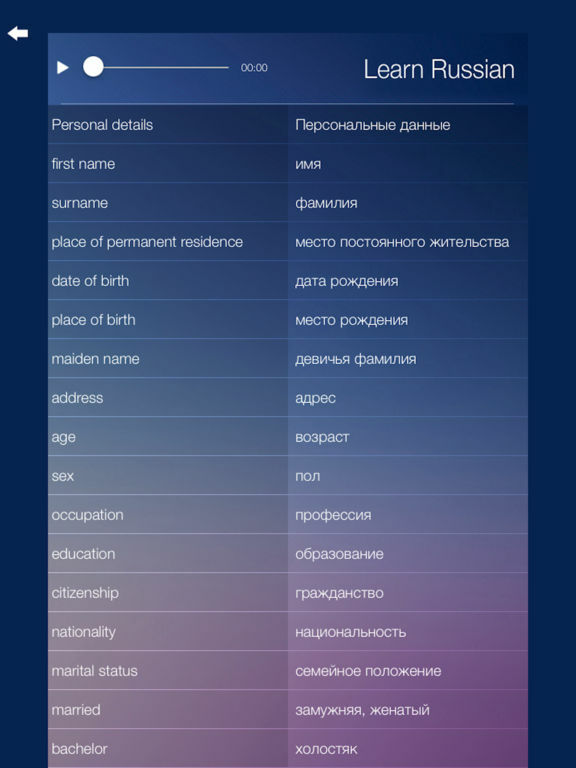 Learn Russian Free Fast and Easy contains questions, answers, words and phrases, which allow users to communicate in standard situations associated with travel and living abroad and may be used as language basics aid.